Lighthouse Insights – informally named LI – is an online magazine providing in-depth coverage of the Indian digital marketing space to help drive decisions for marketers in the ever-evolving digital space. As the pioneer in highlighting the latest, our key focus has always been in the areas of digital marketing and advertising in the B2C and B2B space in India. Since 2011, we have been reviewing campaigns exploring beyond press releases, analyzing new developments in social networks, bringing in data-backed insights that impact decision making, with a keen eye on the emerging and dying trends defining digital media marketing in India. Our readership comprises the decision makers of the industry, as India is rapidly undergoing a digital transformation in the way we do business, in the way we think business and in the way we move towards a digital economy. LI Digital Awards is our endeavour to honour the best work of the year in the Indian digital and social media marketing space. In that context, the ‘LI Digital Campaign Awards 2015’ was conceived as the new and evolved avatar of ‘Best Social Media Case Studies of 2014’, our pioneering initiative to highlight all the creative campaigns of the year. Open to brands and agencies, the online awards helps surface the most innovative digital marketing case studies. Post a shortlisting process by the editorial team, LI rolls out a free case studies eBook every year. The deserving nominations by brands/agencies are awarded too. LI is building a new sub domain to focus on creating a brand portal covering long form stories of digital business vision from forward thinking brands. For brands this is an opportunity to showcase their vision and drive thought leadership. “Multiple stories that is exclusive to your brand allowing you to articulate better instead of one, which means every story will be different!” As we speak, LI is in talks with digital business people to gain an overall understanding of their brands. In 2010, social media was the new kid in the block in India, and marketers were trying to be friends with it. Forward thinking brands got together with the newly set up digital agencies in the country to help craft campaigns around this new and exciting consumer channel that promised quick two-way talks with consumers as well as a way to be measured easily. The Internet was flooded with How To’s but no one spoke about what was happening in the Indian industry. We thought to ourselves, “Why not start a blog to capture all this wonderful social media action happening in our country? 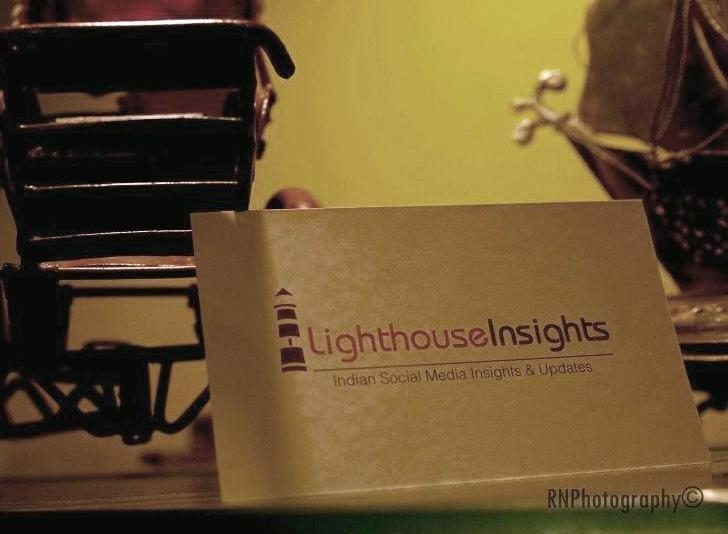 And that’s how ‘Lighthouse Insights’ was born on Dec 1, 2010 by the enthusiastic duo, Prasant and Vinaya. The objective was to do stories backed by insights. A strong believer that original content will survive and make money, I started my entrepreneurial journey after quitting my job in 2010 as a Business Analyst. Life 1.0, what I call as my pre-entrepreneurial journey, was made up of bridging the gap between the business and tech teams in large BFSI organizations across India – London – Singapore. An accidental blogger with a deep love for the arts in my veins, I helped co-found LI following a long stint tinkering around with data analysis, coding, visual design and brand communication. Connecting the dots, I can say this journey is purely by design; LI is that home where my interest in design, tech and communication all come together.